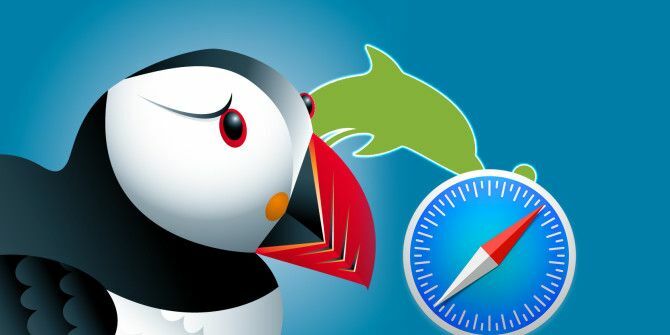 Mobile Browsing: Are Puffin and Dolphin Better Than Safari? When it comes to browsers on your iOS device iPad Browsers Compared: Which Is Best? iPad Browsers Compared: Which Is Best? 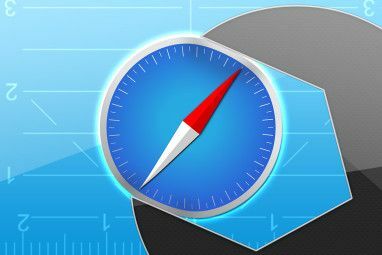 Safari is the iPad's default web browser, but that certainly doesn't mean it's automatically the best tool for the job. Read More , there is nothing wrong with Safari. It allows for syncing your bookmarks, checking out your history, and gets you where you need to go on the Internet. So, what could the mobile browsers Puffin and Dolphin have to offer that would make them better than Safari? Safari, Puffin, and Dolphin each have the basic features you would want in a mobile browser. You can sync across devices Stay in Sync: Access All Your Browser Data From Any Device Stay in Sync: Access All Your Browser Data From Any Device How can you make the process of switching devices more efficient, so that you can easily pick up where you left off? Read More with an account, open new tabs quickly, enable a private browsing, save bookmarks easily, and share the page you are visiting via text, email, and social media. They are all fast and they all work. So, there is no question that each accomplishes the most necessary features you would need. However, both Puffin and Dolphin do offer their own nifty, standout features that do set them apart from Safari. The Puffin interface is slick and tapping anything anywhere is just plain snappy. You can personalize your start page, check out something new with the Discover section, and enable Flash Use Puffin Browser To Play Flash Content On Your iPhone & iPad Use Puffin Browser To Play Flash Content On Your iPhone & iPad Whenever someone asks me to recommend an app that supports Flash videos on their iPad, I recommend Puffin Web Browser. Read More . But that isn’t all, there is definitely more to Puffin than meets the eye. Puffin offers a nice slide-in menu for all options from searching to downloads to history to printing, so you can access anything you need from the options menu very quickly. You can also check the network diagnostics if you are having trouble, which tests and verifies your connection, displays Puffin system status, and shows you any problems. The settings for Puffin are accessed right from the options menu and include customization, zoom scales, Flash support settings, and more. For customization, you can choose a color theme and built-in wallpaper or even upload your own image. You can also personalize the main Puffin start page and activate or deactivate the floating buttons, tab list bar, and display of network speed. The floating buttons feature is super handy when browsing any website. You can see the faded buttons to open a new tab or the options menu along with a convenient set of arrows to take you directly to the bottom or top of the page. Additional features that make Puffin interesting include the mouse and gamepad. Each of these displays the appropriate buttons or trackpad directly on your page, but faded like the buttons so as not to distract. Puffin also offers add-ons for social media, reading apps, Google, Evernote, and more. There are not hundreds of add-ons by any means, but the ones offered such as Google Translate and Save to Pocket are convenient to have. Puffin Web Browser for iOS is available for free and Puffin Browser Pro has a few more features and costs $3.99. Dolphin has a very clean interface with navigation on the bottom similar to Safari and different themes for the start page, also referred to as speed dial. The options and settings are easily accessed and display on the bottom as well. And like Puffin, Dolphin has even more features that are useful and not available in the other two browsers. This is actually a very interesting Dolphin feature. You can access specific websites and perform browser actions by drawing a gesture. There are some built-in options such as “G” for Google and “N” for opening a new tab. But, you can easily create your own gestures for sites you visit often or actions you perform regularly. For example, you can create gestures for clearing your cache or history, accessing your downloads or settings, or adding bookmarks and speed dial items. So, if you use Dolphin you can create a gesture to take you right to MakeUseOf.com by drawing an “M”. Also within the gestures section is an option to use Dolphin Sonar with can be used to navigate, search, and share with voice commands (available for $0.99 on the free app). Another neat feature of Dolphin is the QR code scan. There is a small icon right in the search bar at the top. When you press that, it enables the scanning feature. You can also open your photos if you happen to have a code saved and the app will read it instantly. 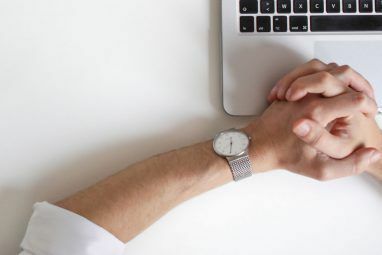 This is a very convenient feature as we see more and more businesses and companies using QR codes to direct you to their website or receive a promotion. Dolphin Web Browser [No longer available] for iOS is available for free and Dolphin Browser Pro has a few more features and costs $2.99. Do you use Puffin or Dolphin and have a specific feature that turned you onto it? Or, do you prefer to stick with Safari on your mobile devices? There are certainly other browser options for mobile, and choosing one can be as important as picking one for your desktop. So, do you use yet another mobile browser Which Mobile Browser Do You Currently Use? [MakeUseOf Poll] Which Mobile Browser Do You Currently Use? 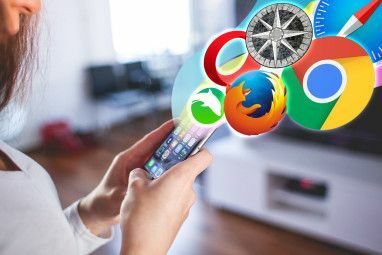 [MakeUseOf Poll] There are plenty of mobile Web browsers out there to try, but which do you currently use for browsing on the go? Welcome to this week's MakeUseOf Poll. Read More that you think beats all three of these? Feel free to share your comments below! Explore more about: Dolphin Browser, Mobile Browsing, Safari Browser. I use Dolphin because it's text wrapping/re-flow is so good. I don't know of any browser that either has this facility or could be better in this respect. Puffin is great, Dolphin solid... remember to long press the browser icons every so often and clear the cache. i use puffin browser it helpls a lot for watching multimedia content. and its very fast.